We were well rewarded for enduring the rainy weather we got in Alberta—Squamish (in British Columbia) was a summer paradise. 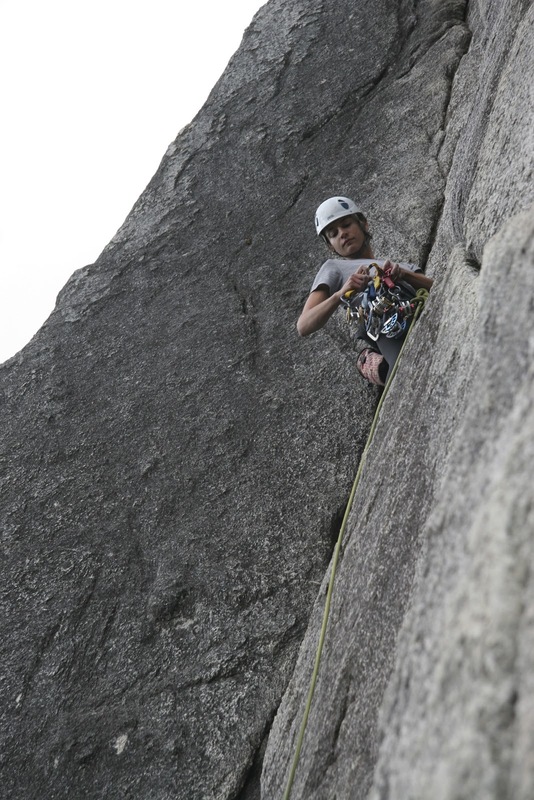 We got in a bit of everything: cragging at the Smoke Bluffs, awesome bouldering, a day of sport-climbing at Cheakamus Canyon, and multi-pitch routes up the Stawamus Chief—the 2,297-foot high granite dome that is Squamish’s biggest attraction. The high density of single-pitch trad climbs at the Smoke Bluffs made it a great place to practice crack climbing. I loved falling into the rhythm of jamming my hands and feet up the crack, pausing every few moves to place gear. But our biggest project was “The Ultimate Everything”, one of the routes that goes all the way to the top of the Chief. It was ten pitches of pretty fun climbing—the last pitch, a hand-sized crack traverse to the top, was probably the best. 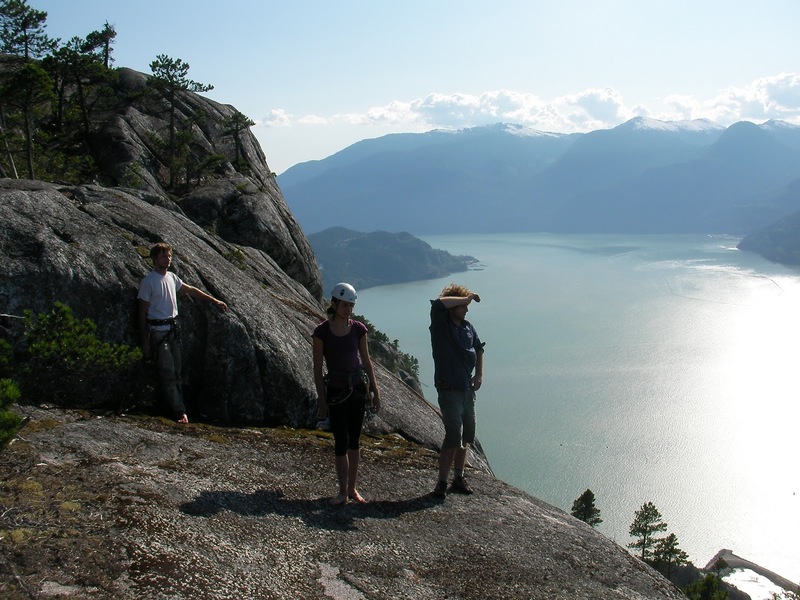 Standing on top of the Chief after "The Ultimate Everything"
Of the places we visited this summer, Squamish is the one that I most want to go back to. Not only is there SO much climbing left to do, but the campground had such a relaxed and friendly atmosphere. Maybe next summer? 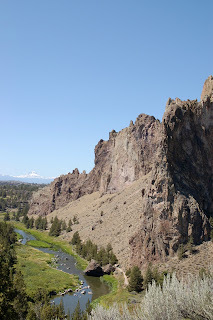 On our way back down the coast we stopped in Oregon to check out Smith Rock for a last couple of days of climbing. It was still too hot there to be thoroughly enjoyable, but we had some fun climbing up the cracks in the Basalt rimrock. 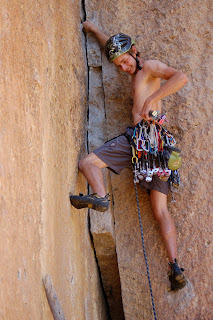 Matt and I also climbed “Wherever I May Roam” (5.9), a well-bolted five-pitch climb with tons of little knobby holds. It was a decent climb, but I’d love to go back to Smith Rock sometime when it’s not as hot.